First thing first, Cabbage is not one of the easiest plants to grow. It needs a lot of nutrients, space and can attract a lot of pests. But before you totally put off the idea of growing cabbage plant in your garden, let me tell you this- if you plan properly, take a few precautions, and take a good care of your plant you can enjoy cabbages all year round. This article is all about how to grow cabbage. Once you finished this article you will be in a far better position to grow cabbage at your home and enjoy the endless supply of one of the popular leafy vegetables of this world. Cabbage plant is generally a cool weather crop. There are quite a few varieties available in the market viz Green Cabbage, Red Cabbage, Savoy Cabbage, Pointed cabbage, etc., Choose the variety of cabbage wisely and as per your local environment. For example, if you are in a cooler climate, you can choose slower maturity variety and can grow huge heads, but if you are in a warmer climate, it is best to go for fast-maturing variety and grow in the springtime. The ideal environment for growing cabbage is a fertile, well-drained, moist soil with plenty of organic matters. It has a very shallow root system so don’t till near the plant you might harm the plant. Check your soil pH before planting the seeds. An ideal pH range for growing cabbage plant is 6.5 to 6.8. If your soil pH is lower than this, then your plant is prone to club root diseases. To increase the pH of the soil try adding lime along with the soil. The best way you can grow cabbage is from the seeds. Sow seeds one inch deep into the soil. While planting cabbage, spacing is very important. Never put two seeds very close to each other. 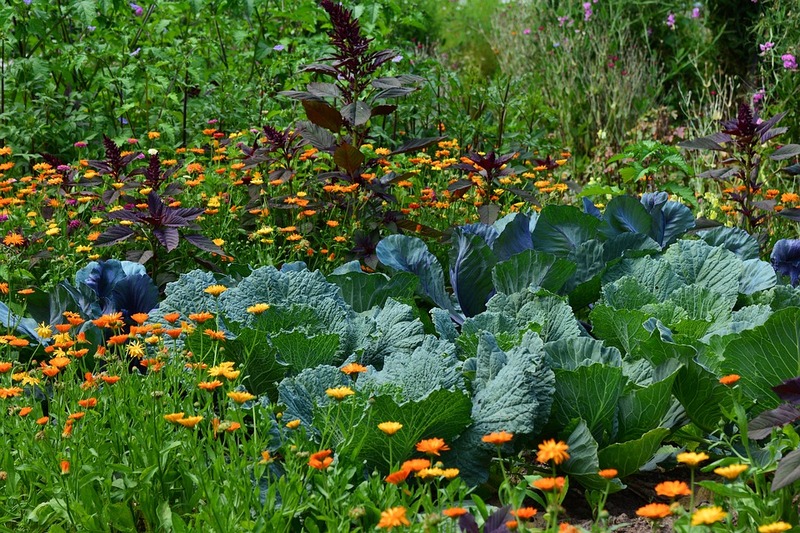 Generally, you should keep the cabbage spacing approximately 24 to 30 inches between rows, and 18 inches between plants. Another trick in the book is to harvest alternatively to give each plant enough space to grow. The best time to plant cabbage seeds is at the end of August and September, once the summer are almost over. You can also go for the fall if the temperature is not very cold. Warm soil helps the quick germination of the cabbage seeds. As you may have already experienced, cabbage requires regular feeding and a good amount of sunlight. In a hot summer you also have to provide temporary shades to the plants. Applying mulch and mixing compost with soil can provide the solution. Once the new leaves began to emerge apply fertilizers. Fish emulsion, blood meal, etc., are some of the best fertilizer for cabbage. A compost made of tea can be very helpful to the plant. It provides the much-needed nitrogen to the plant especially if the leaves are turning yellow. Cabbage needs a good amount of water in the soil. For a good cabbage head, maintain a constant level of moisture. Lack of water can result in bitter tasting cabbages. Water regularly. Uneven watering can make the cabbage head crack. Don’t forget to read How to give water to the plants before start giving water to the plant. Cabbage plant is very prone to pests and diseases. Some most frequent diseases include club roots, yellow leaves, black rots, etc. Many insects like cabbage loopers, slugs, aphids, root maggots, etc., love to feast on cabbage plants. One of the prominent signs of pest attack is holes in the cabbage leaves. Though the variety of problems and their solutions differs very much, one of the common solutions is to go for companion planting. If your plants are already attacked by some molds or fungal diseases, it is wiser to remove the plant. Also, crop rotation prevents many of the pests. Once the head becomes big enough you can start checking its firmness by your hand. Cabbage heads are ready to harvest once they start becoming hard. Cut the cabbage head from the stem with a sharp knife. For the best flavor, eat soon after picking. You can also store the harvested cabbage heads in the refrigerator. Don’t forget to remove the loose leaves prior to storing. This will help in sufficient air circulation. If you use the proper techniques you can store cabbage heads for a very long time in a refrigerator. Raw and chopped cabbages can provide a great compliment with barbecue and seafood. There are so many good recipes involving cabbage is present in many cultures. Cabbage is a good source of vitamin A, C, and Iron. What is your experience of growing Cabbage? Do you have any trick to share? Please use the comment box below to express your opinion. wht is ph balance in soil nd hw to chk. The pH is the indicator of the nature of the soil. the lesser the pH of a soil it is more acidic in nature, whereas the more the pH of a soil it is more alkaline. pH level 7 stands for neutral. You can ask for soil testing by visiting any garden shop near by your house. For us, cabbage family was a total failure in the garden. The blame clearly lies with because we didn't feed them with adequate nutrients. We had planted broccoli and Chinese cabbage. Broccoli flowered after sometime, but then the nutrient problem and pest attack happened. In case of cabbage, 6-7 leaves came out and then nothing. Hoping that next time the cabbage curse will be gone from the garden..